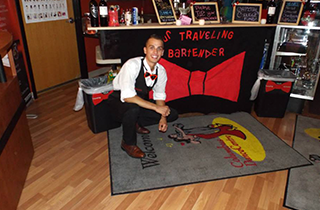 Your Traveling Bartender offers mobile bartender service and photo booth rental for your special events. 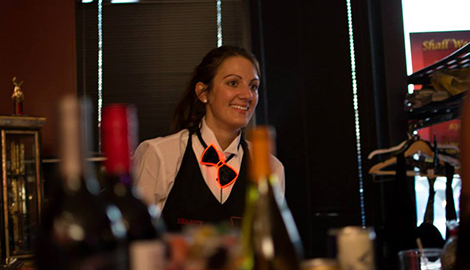 We can make any event extra special for you, and you will want to call us for all of your future parties! For the best bartender service that you have ever had, get in touch with Your Traveling Bartender today to schedule your next event. You and your guests will have so much fun, you will not want to wait for your anniversary to have us back for another party! Contact Your Traveling Bartender today to ask how we can make your wedding day the dream day you always wanted. Give us a call at Your Traveling Bartender right away to arrange for bartending services and a photo booth for your next get-together in Columbus, OH. 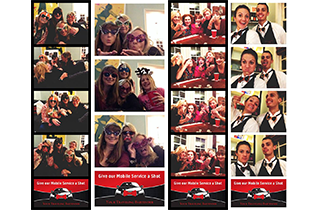 When you rent a photo booth from Your Traveling Bartender, you create memorable fun for any event. 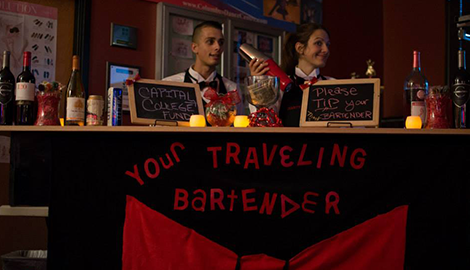 Your Traveling Bartender is a mobile service offering bartenders for hire to serve at your events in the Columbus, OH area. We also travel to any location out-of-state, and our services are free when flights and accommodations are covered! 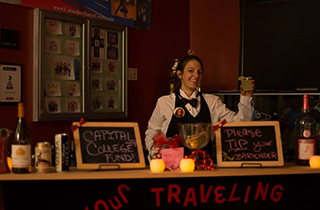 Your Traveling Bartender never turns down any occasion, no matter how small, and we can also cater extravagant events with hundreds of people. We can come to your home or travel to the Columbus-area venue of your choice. Whatever you can imagine, we can make a reality! We guarantee that you and your guests will have an unforgettable time. In addition to out-of-state bartending, we can give you many reasons to hire Your Traveling Bartender for your next event. We are TIPS-certified, as well as BBB-certified, and we promote Student Mentoring Alcohol Responsibility Through Safety (S.M.A.R.T.). We have liquor liability insurance, too, so you are covered if there are any damages related to alcohol served at your get-together. This lets you relax and enjoy your event. Your Traveling Bartender can also provide a rental photo booth, so do not forget to ask about including one at your next party or gathering. 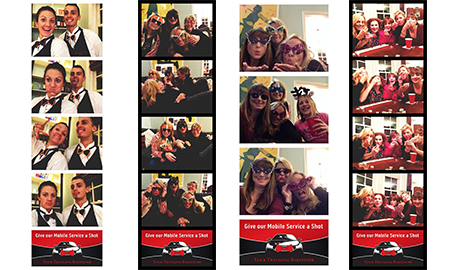 Photo booths are a great way to add fun for all ages to any celebration, and your guests will leave with a souvenir to make your event even more memorable. You will never want another bartender again! For mobile bartending services, wedding catering, photo booth rental, and customer satisfaction like you have never experienced before, book Your Traveling Bartender for your next event.